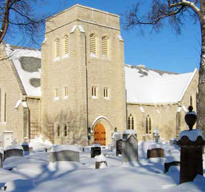 Built on the banks of the Red River in Winnipeg’s North End, St. John’s Cathedral is the birthplace of the Anglican Church in Western Canada. Learn more about the Cathedral’s past and find out about our ministry in our community today. What are Anglicans all about? Learn about us. Read about our beliefs, our history, what to expect, and how we are organized.